The third edition of the ART X Lagos, West Africa’s premier art fair dedicated to promoting contemporary art and its pioneers is coming up next month. This year, ART X Lagos relaunched it’s ART X prize with Access. The prize is awarded to emerging artists and it provides funding and mentoring opportunities for artists with “compelling” projects. 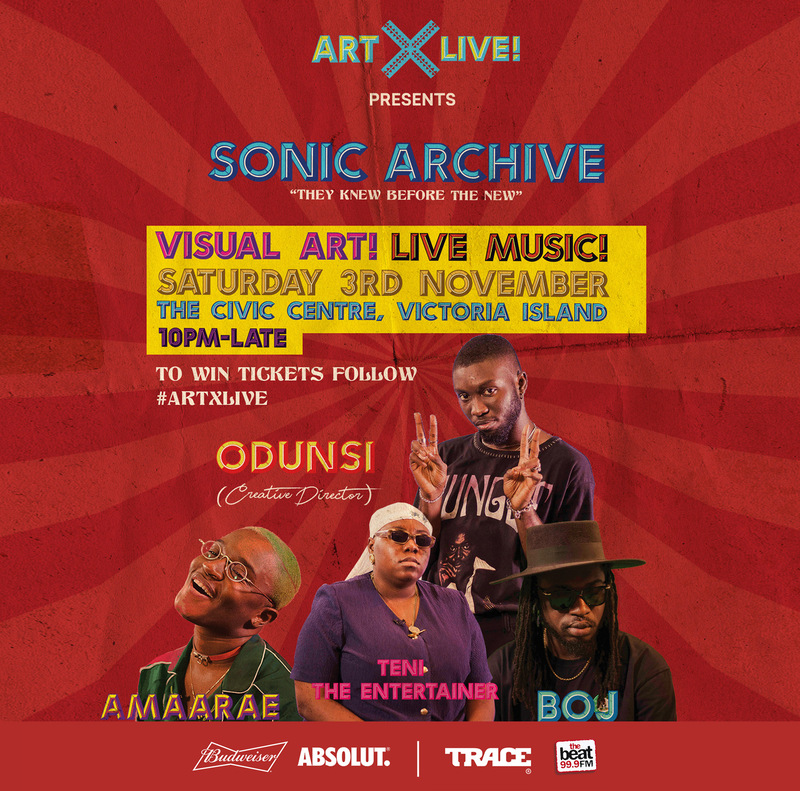 ART X Lagos will be kicking off from the 2nd of November through the 4th of November and part of this year’s three-day programme is ART X Live!. ART X Live aims to explore Africa’s rich musical history and celebrate icons and sounds that have shaped the contemporary musical landscape, showcasing the musical legacy of the continent; most of which is the style, aesthetic and nostalgia of the ’80s, ’90s and early 2000’s era. 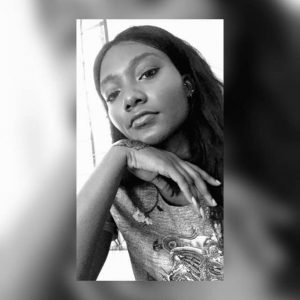 Lanre Masha, whose team launched African Cultural Season 2020 with France’s President Macron at the New Afrika Shrine in Lagos a few months ago, will curate this year, while ‘rare.’ star, Odunsi The Engine chairs, creative direction. Nigerian musicians BOJ and Teni the Entertainer, as well as Ghanaian singer Amaa Rae, who hosted her first live show in Lagos last weekend will each perform a live set rooted in an exploration of an important decade in music. Visual artists Chukwuka Nwobi, Tomisin Akins and Fadekemi Ogunsanya will accompany each set; capturing a sense of nostalgia, and a reunion of emotions that traverse the past and present sounds of Africa’s music. The fusion of music and art at ART X live this year would open new dynamic possibilities for set design and stagecraft relevant for younger generation creatives, some of who are also on the line-up. 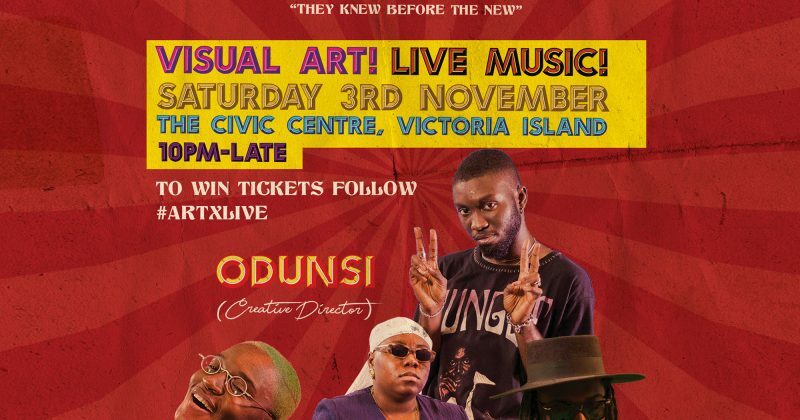 As African music continues to refine its presentation, ART X Live! 2018, may provide a glimpse into the future.